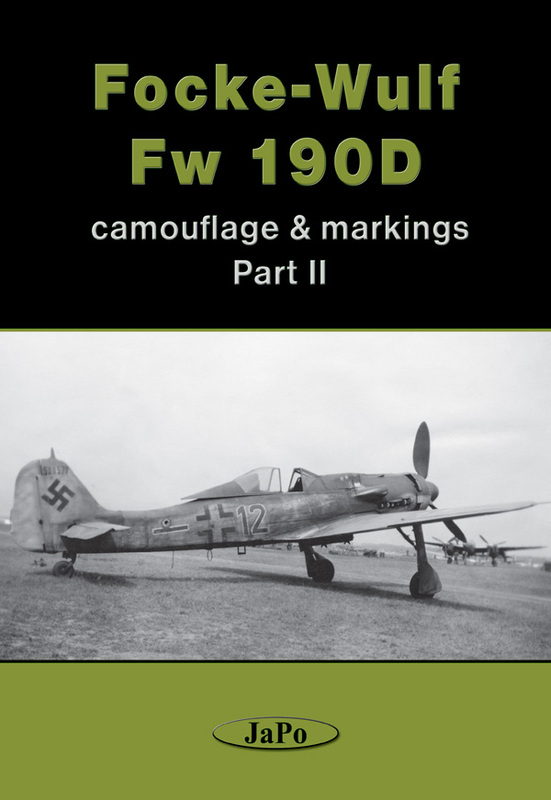 The content of Part II follows the outline of Part I, with rules and detailed descriptions of colour patterns applied to Fw 190D-9s and D-13s built by the type’s licence manufacturers, i.e., the Arbeitsgemeinschaft Weserflug (Arb. Roland), Mimetall Erfurt and Fieseler Kassel. Separate chapters are dedicated to the influence of repair work on the final appearance of aircraft, and the comparison of different Doras in single units at a specific time. There is also a “bonus” chapter of a slightly different form, dealing with the detailed analysis of the development of the Fw 190D with Daimler-Benz DB 603 engines, including the Fw 190D-14 and D-15. The book is fully documented with extracts from original documents, black & white, and colour photographs, as well as numerous colour schemes and colour profiles. It is completed with a comprehensive loss list of the entire Arbeitsgemeinschaft Weserflug, Mimetall Erfurt and Fieseler Kassel production.